The the trolleybus no. 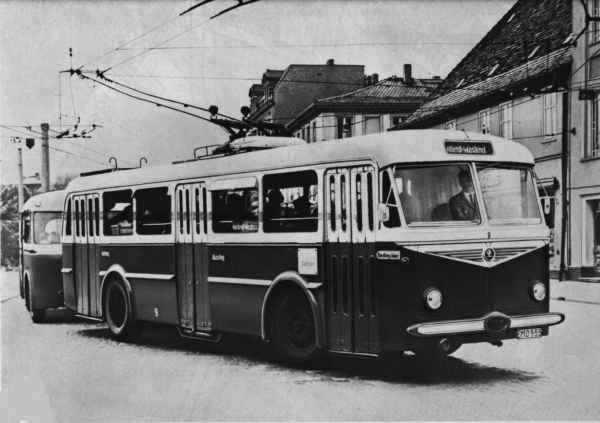 09II of the GDR-type LOWA W 602a was sent in 1959 to Berlin and had there the car no. 1548, later 301 038-2. 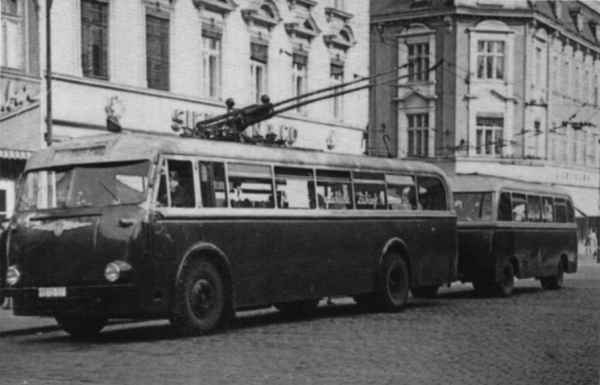 In 1973 the trolleybus was taken out of service. This photo show the trolleybus no. 09II of the GDR-type LOWA W 602a with trailor of the GDR-type LOWA W 700 at the Eisenbahnstraße going in the direction toward Bahnhof. The next photo show the trolleybus no. 09III of the Czech type ŠKODA 8 Tr6 with trailor no. X of the GDR-type W 701 (year of construction 1957) on the former line Westend-Nordend at bus stop Platz der Freundschaft going in the direction toward Nordend. The articulated trolleybus no. 009 of the Hungarian type Ikarus 280.93 had have a traffic accident in December 1989. The trolleybus was out of service until March 1990. Momentary the articulated trolleybus no. 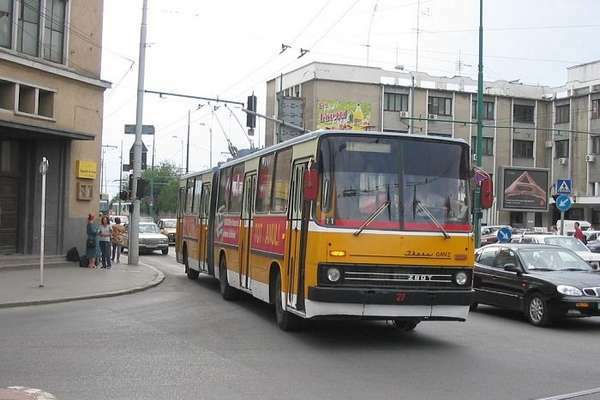 001 was in service for the articulated trolleybus no. 009. This photo show the articulated trolleybus no. 009 of the Hungarian type Ikarus 280.93 on the line S 1 at the bus stop Clara-Zetkin-Weg going in the direction to Poratzstraße. The articulated trolleybus no. 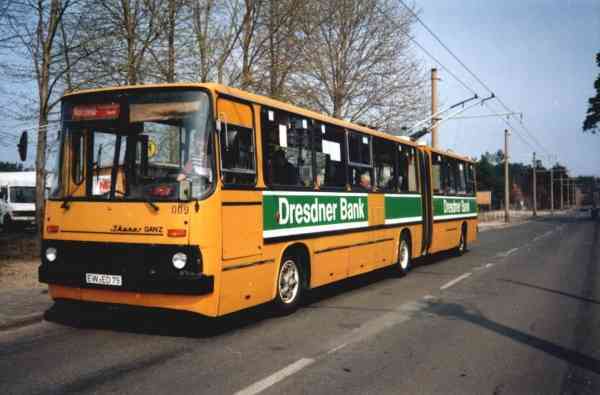 009 of the Hungarian type Ikarus 280.93 was sent on 14 November 1995 to Timisoara/RO and had there the car no. 27. The photo show the articulated trolleybus no. 009 of the Hungarian type Ikarus 280.93 at the railway station in Timisoara/RO on 16 August 2003.